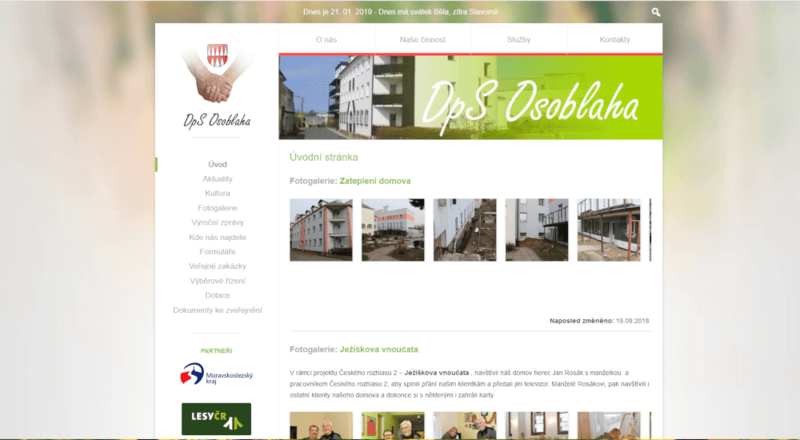 Official webpages for retirement house in village Osoblaha, built based on designer’s model. Old website has been replaced by new CMS and implemented responsive design. Part of “Osoblaha family” websites with similar design as all related to same institute.